Set of 10 new Chrome plated brass 3/8 -16” coarse thread acorn nuts. 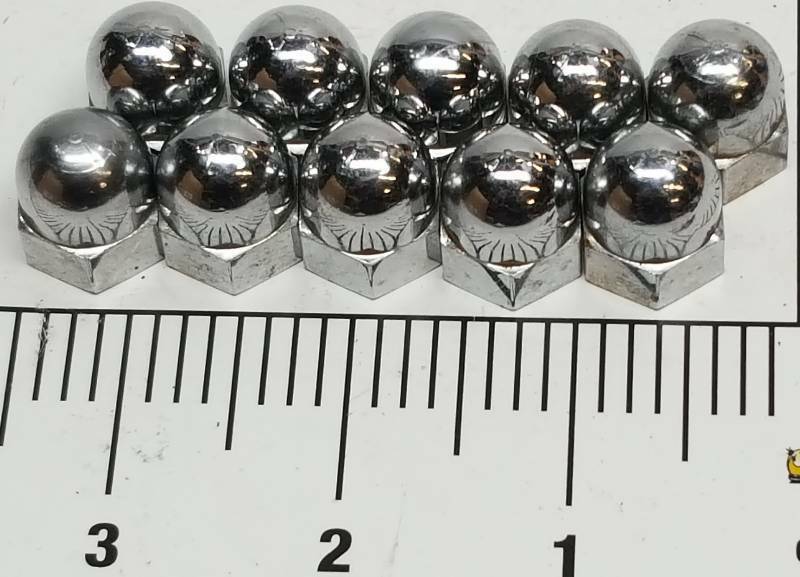 Set of 10 new Chrome plated brass 3/8 -16” coarse thread acorn nuts. Dress up the dash or use on the toilet. Whatever you can come up with. Nonmagnetic if that means anything.